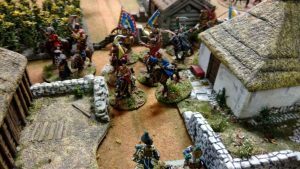 For the 200th anniversary of the Waterloo campaign, Wargames, Soldiers and Strategy offers a free downloadable bundle of articles from their magazine. 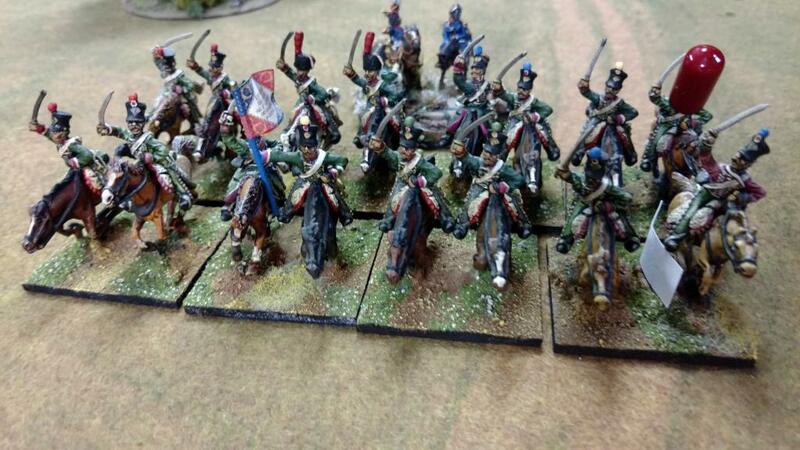 Les Uniformes de l’Armee Francaise contains a series of marvelous images that will work very well as a painting guide. 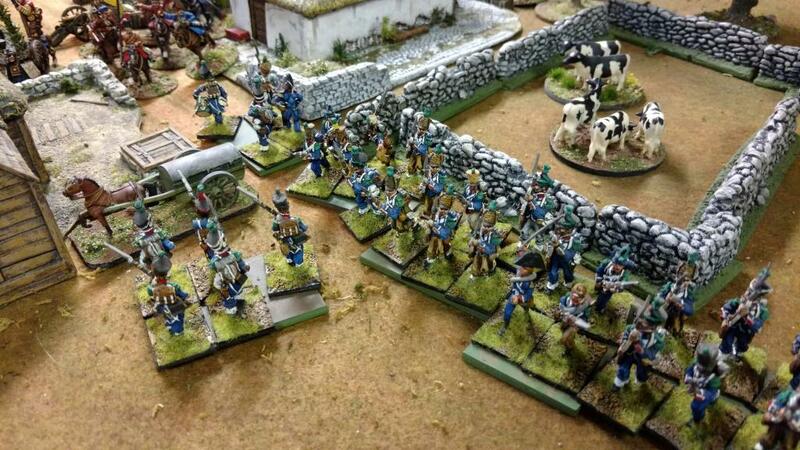 Newcomers to wargaming the Napoleonic Wars can be bewildered by the uniform terminology. That’s where the Napoleonic Uniform Glossary comes in handy. 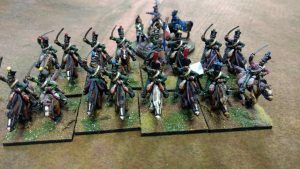 This site has photos of various uniforms and identifies the parts. 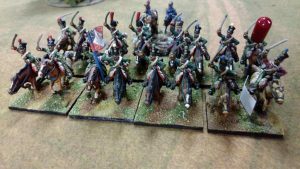 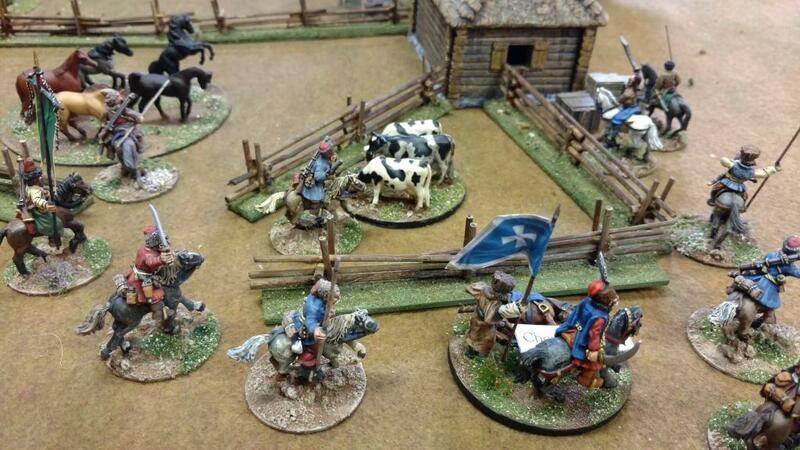 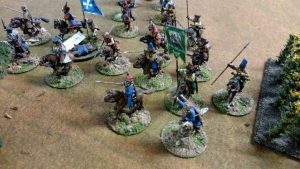 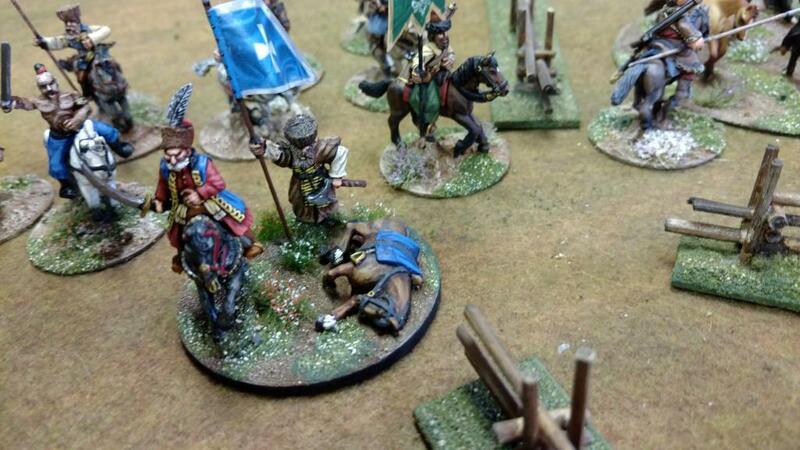 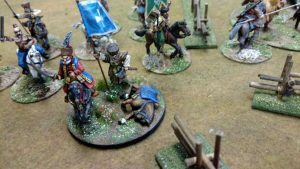 Here are a few photos from our group’s recent game of Cossacks versus French in 1812 Russia. 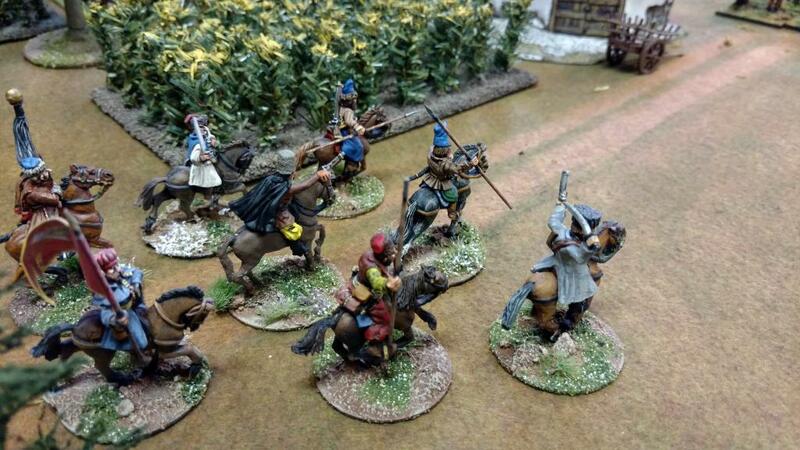 The French were attempting to hold onto a town while foraging for supplies; the Cossacks wanted to drive off the French while looting the countryside. As the game progressed, increasing numbers of Cossacks came in from the countryside to join the fun, while French reinforcements were also funneling in. 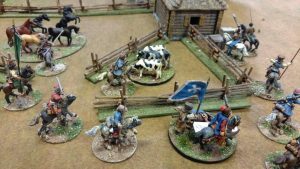 The figures and terrain were all by Bob Marshall, whose wargaming talents are eclipsed only by his talents as a cowboy troubadour. 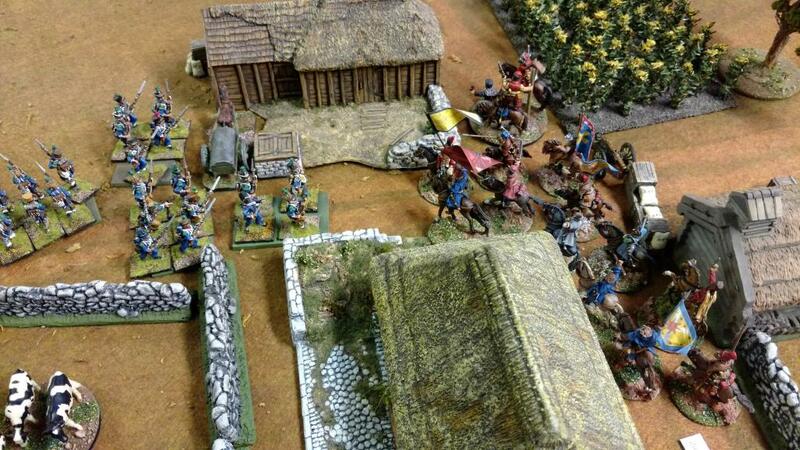 MultiMan Publishing offers a free boardgame of the Battle of Montebello (June 9, 1800).